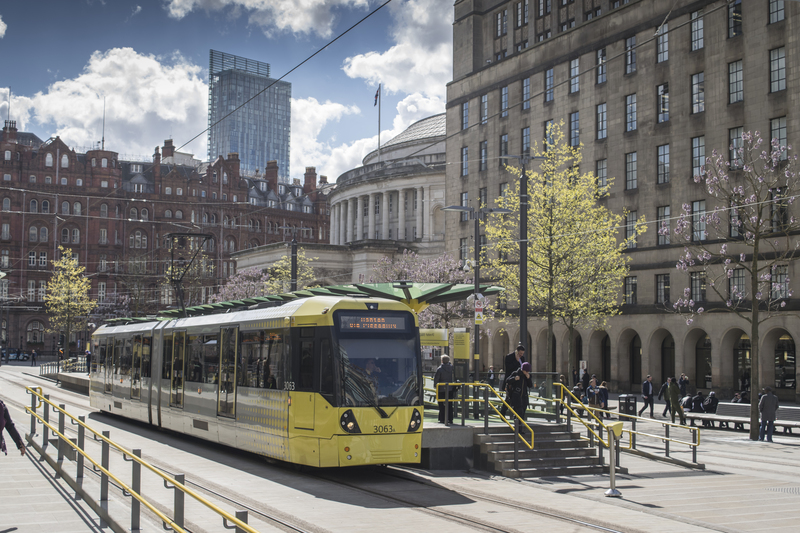 The Transport Strategy 2040, from Greater Manchester (GM) Authority sets a mutually supportive transport and spatial policy framework to effectively accommodate growth to 2040, to meet GM’s aims of economic and social policy. GM’s Transport Vision strives for world-class connections that are not an end unto themselves, but a means to achieve wider policy goals of long-term, sustainable economic growth and access to opportunity for all. Greater Manchester (GM) is a large polycentric city region of 2.73 million residents. It represents 10 local authorities and their leaders, working together to address strategic challenges, chaired by a directly elected mayor. Land use is mostly urban, the product of concentric urbanisation and industrialisation which occurred mostly during the 19th century when the region flourished as the global centre of the cotton industry. Today, whereas 52% of trips shorter than 2km are made by walking and cycling and 82% of public transport users are fairly or very satisfied; only 27% of GM residents use a mode other than private car to travel to work and 16% of departing passengers use public transport to access the airport. Greater Manchester has a higher percentage of motorway network than any other county in the UK. GM’s Transport Vision strives for world-class connections that are not an end unto themselves, but a means to achieve wider policy goals of long-term, sustainable economic growth and access to opportunity for all. Recognizing the ever-changing economic, societal, environmental and political landscape, the 2040 Transport Strategy is accompanied by shorter-term 5-year delivery plans, that allow GM to adjust course depending on issues such as available funding and emerging political priorities. −	Integrated: To enable people to move seamlessly between services and modes of transport on a single, high quality, easy-to-use network; maximizing choice and supporting low-car lifestyles, made possible by integrated land use and transport planning. −	Inclusive: To develop a fully inclusive and affordable sustainable transport system for all. −	Healthy: To develop a transport system that supports people in leading active, healthy lives. −	Environmentally Responsible: For Greater Manchester to be known for the quality of its urban areas, natural environments with transport emissions reduced to near zero, and new transport schemes delivering environmental enhancements whenever possible. −	Reliable: To develop a transport network that offers reliable journey times and gives people the confidence to use public transport. −	Safe and Secure: To reduce deaths on our roads as close as possible to zero and ensure that poor perceptions of personal security are no longer a significant barrier to people using public transport or walking and cycling. −	Well Maintained and Resilient: To bring the transport network into a good state of repair, maintain it in that state and ensure that it is able to withstand unexpected events, exceptional demand and severe weather conditions. The 2040 Transport Strategy contains a comprehensive set of policies where shared mobility services are embedded as modes of transport which fill the gaps in, and strengthen the effectiveness of, the core mass transit network. Critical to this is integration is an integrated fares and ticketing structure, supported by a “travel choices” programme, which enables customers to make informed decisions about a genuinely comprehensive travel offer available to them. TfGM has an advanced and well-funded innovation programme that includes measures to further develop and improve shared mobility solutions, linked to the aspirations of our 2040 Strategy. TfGM works in direct collaboration with over 140 organisations (from Universities, to large scale private companies to SMEs, to transport authorities and policy working groups) across Europe. Projects range from Car Share model and tender development; to Cycle Share demonstrators and mapping of a long-term approach to cycle share; to opportunities commercialising the electric vehicle charging network (to support expansion); to Cityverve, an Internet of Things city-scale demonstrator with a series of projects under the transport thematic, including talkative bus stops, shared e-cargo bicycles for businesses, air quality sensors and open data api development. As demonstrated by the selection of Greater Manchester among the three finalists for the 6th EU SUMP Award on the topic of shared mobility, the long-term planning approach of Greater Manchester is considered by the jury of the award as very progressive and ambitious. Yet it is very tangible and integrated in current developments of the city. The jury also valued the comprehensive approach integrating sharing in the SUMP, the vision of using and sharing data and the planning on automated vehicles. Additionally, the jury of the EU SUMP award appreciated that Greater Manchester is working in cooperation with the private sector/industry (i.e. the shared-mobility operators and dock less bikes operators) and NGOs for expertise.